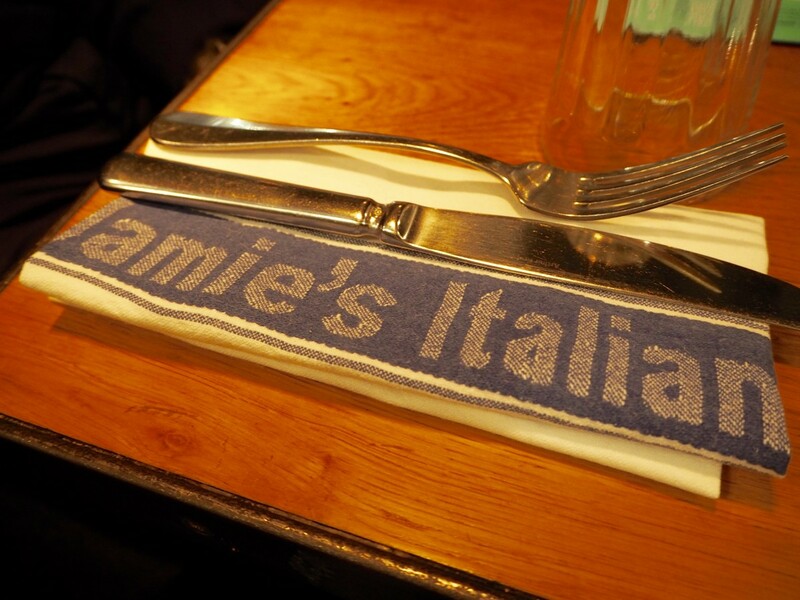 If anyone asked me what was my favourite cuisine, my answer will always be Italian. Why? Because I am your typical kinda girl that loves a good pizza and all the carbs in the world, so heck yeah, Italian food all the way baby! 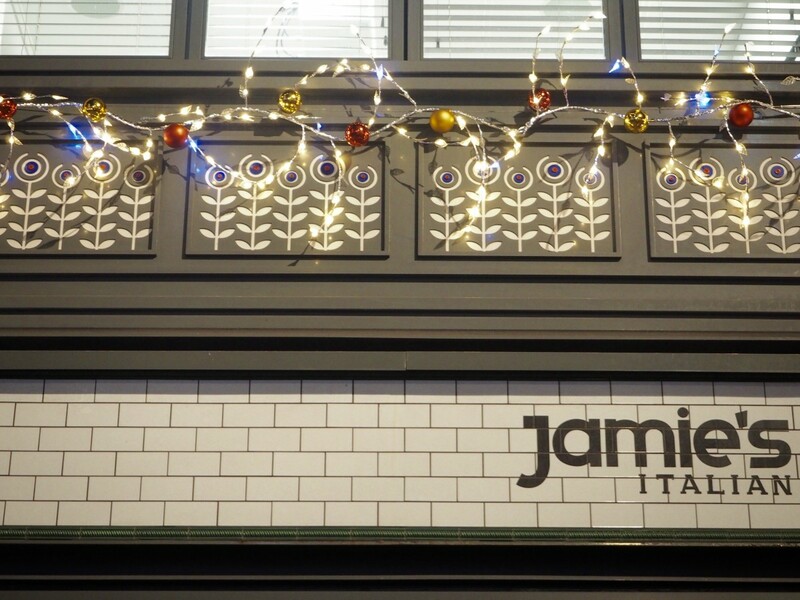 I recently visited Jamie's Italian restaurant in Covent Garden for a little birthday treat and really enjoyed the food. 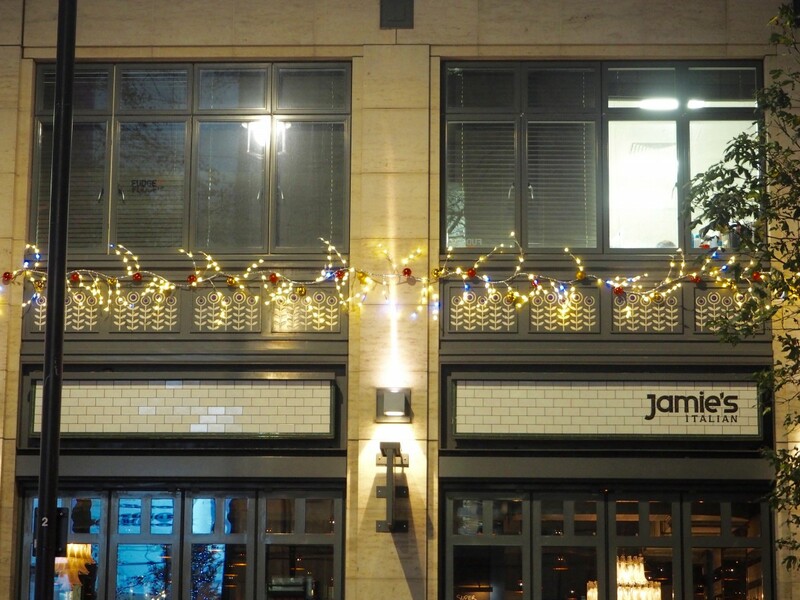 Situated on Upper St Martin's Lane in London, I absolutely loved the decor of the restaurant, it was modern with a slight urban feel and had a great atmosphere as soon as I walked in. Our waiter (for the life of god, I don't actually remember his name, but he was really good) introduced the menu and talked us through the specials of the day and matched our wine to what we ordered. The service in the restaurant was prompt and we were never left to wait too long for attention. 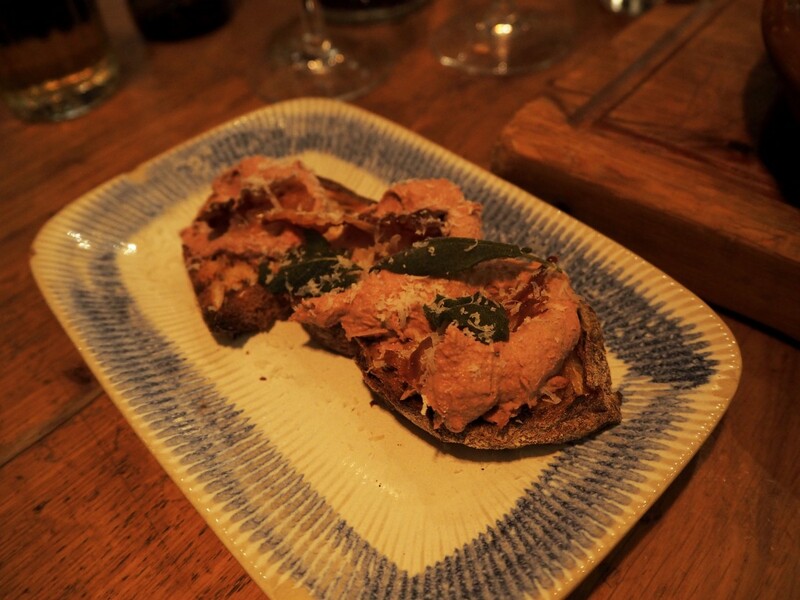 For starters, we opted for some Crispy Squid and Silky Pate Bruschetta. 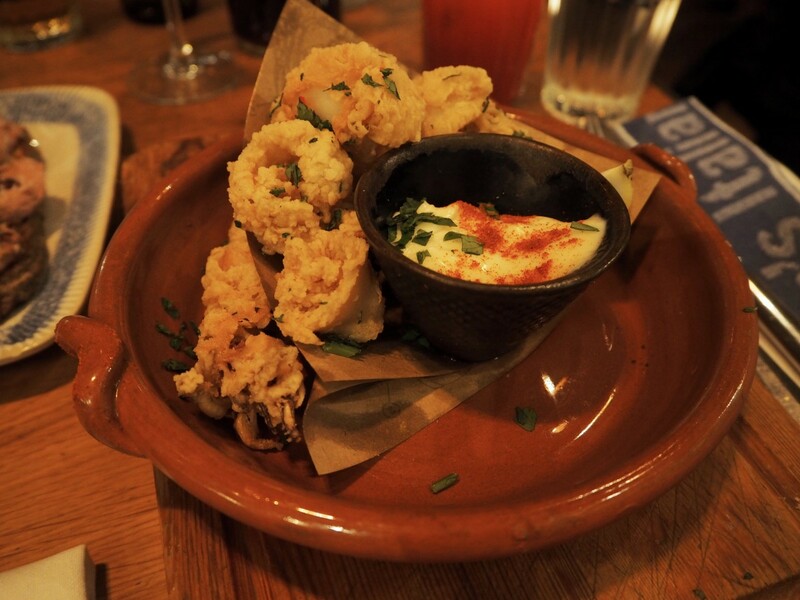 The squid dipped in the aioli sauce was honestly perfection on a plate and the chicken liver pate was scrumptious and tasty. 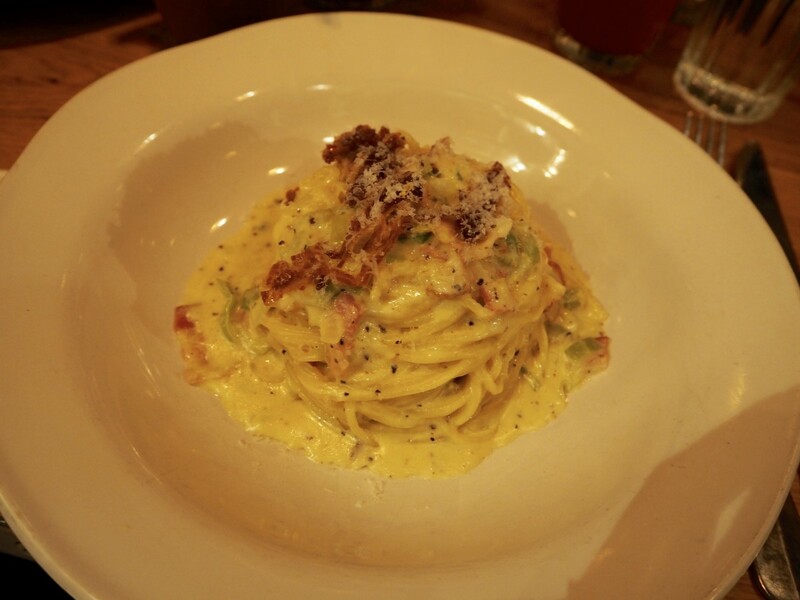 When it came to mains, I was definitely going to choose a pasta as you must know by now, carbs are my life. I went for the classic Silky Penne Carbonara which tasted super yummy and despite looking like a small portion, it was actually very filling. 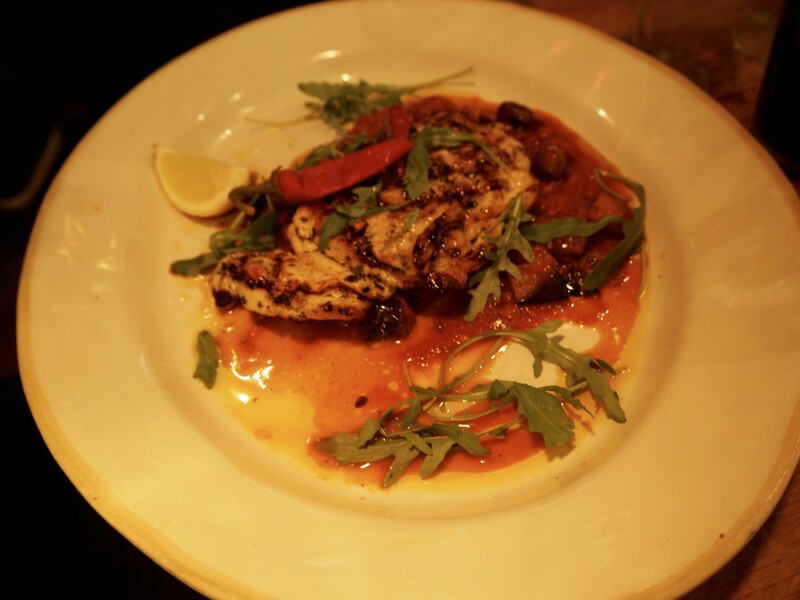 The other main we opted for was the Butterflied Sicilian Chicken, a free range chicken breast cooked in a spicy tomato, aubergine and leccino olive sauce. The meat itself was hearty and the sauce was tangy and complimented the chicken very well. 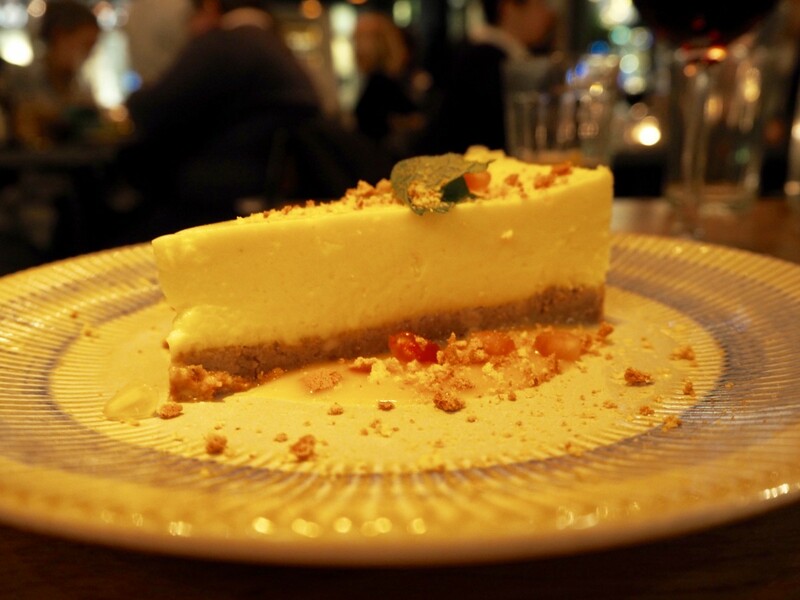 Last, but not least, desserts, my favourite part of any meal. 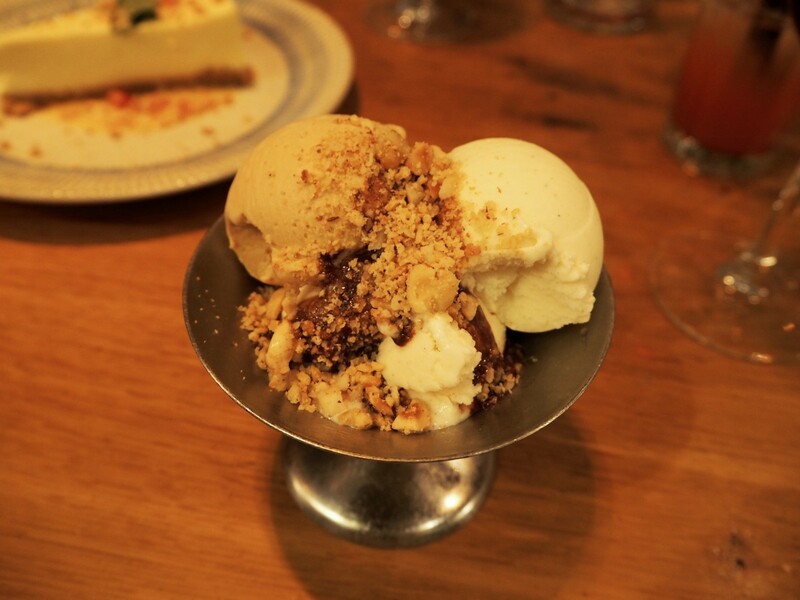 We chose the Indulgent White Chocolate Cheesecake and three scoops of the Organic Ice Cream Sorbet. Both desserts were really good and after a big start to the meal, we were glad the portion sizes of the desserts weren't huge which allowed us to fit it in and really enjoy it. 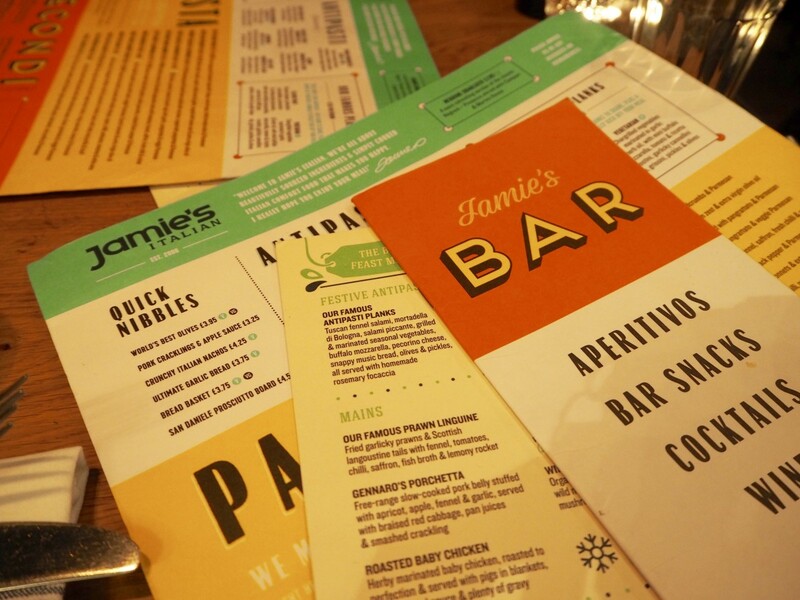 I would definitely recommend a visit to Jamie's Italian if you're an Italian cuisine fan and because the restaurant is so easy to get to, it makes it perfect for those who are just finishing work and needing somewhere for a tasty meal. 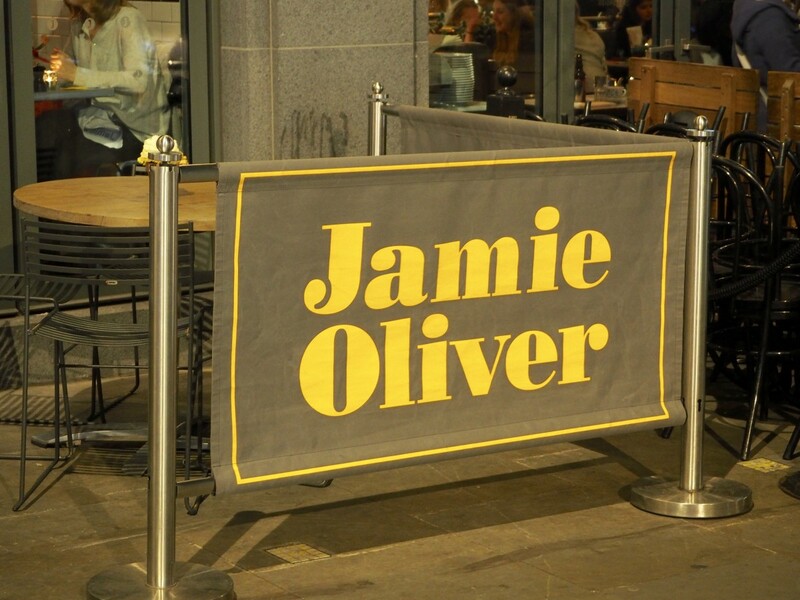 Have you been to any of Jamie's Italian restaurants before?